Troll Peninsula with its adventurous location offers various activities all year around. Enjoy! There’s no reason to stay hungry while travelling the Troll Peninsula. Restaurants and Cafés are sure to take care travellers needs. The Camping Site in Ólafsfjördur is by the Sports Centre. Rimar is Community hall and a sportshall. The house is rented out to individuals and groups throughout the year. Þula Cafe – Bistro is located in the culture house Berg. Þula is among other known for a great lunch buffet on working days. In Þula you find a desirable cakes and bread. We offer long and short riding tours for beginners and experienced riders with a guide. The camp site has toilets and washing facilities with hot and cold water and showers. It has facilities for washing dishes. Also water to refill the tank and drain travel toilet. Electricity is in the area. We offer two cosy cottages and one trailer. The location is surrounded by Svarfadardalur Nature reserve with a grate view and opportunity for bird watching and hiking. Arctic Sea Tours offers Arctic whale watching, Grímsey Arctic Island and Arctic Sea Angling tours from Dalvik close to Akureyri in North Iceland. 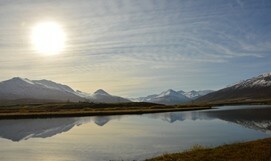 Hihostel and 4 cottages in Dalvík, 60 beds in summer time, 36 in winter time. Sleeping bag accommodation or made up beds. Café/bar and a minimuseum of Bakkabræður, "The brothers from Bakki" folkstories. Meals for groups upon request. Modruvellir in Skidadalur. A cottage for 7 persons. 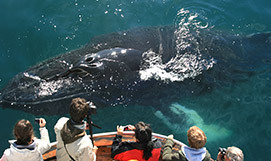 Whale watching in Hauganes offers whale watching and sea angling tours from Hauganes which is a small fishing village in Eyjafjörður only 34 km from Akureyri. Dalvíkur Theatre, Ungo, was founded in 1944 and it’s local theater club sets up exhibitions each year. Bergmenn Mountain Guides specialize in ski touring, ski mountaineering, heli skiing,ice and alpine climbing in those regions. The public library is located in the culural house Berg and is open every day. Everyone is welcome to enjoy the facilities. Dalvik Skii resort is in a walking distance from Dalvik at Boggvisstadafjall. The resort has two ski lifts one 700 m long and the other 500m long. The vertical drop is 322m. Vignir Þór Hallgrímsson is an Icelandic painter born in North Iceland in a small town of Dalvík. Vignir mainly works whith watercolour and oil paintings, drawing inspiration from the beautiful Icelandic nature. Tjarnarborg culture house in heart of Olafsfjordur. Small local family business that takes groups or individuals on hiking tours in Siglufjörður and its surroundings. The Herring Era Museum is awarded maritime and industrial museum - where the ‘glory days’ of Iceland’s herring fisheries and industry are brought back to life in three different buildings. . 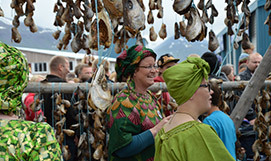 The camping site at Siglufjördur is located in the town centre at the square and the marina. Surrounded by towering mountains at the heart of Siglufjörður you’ll find this new, ultra cool guesthouse. The Herring House offers six bedrooms, five double/triple and one single room. The guesthouse can also be booked as a two private apartment's (sleep up to 4 or 7). Troll Travel assists you making your stay in the mysterious and pristine Troll Peninsula unforgettable. It is all about the wonders of north Iceland. 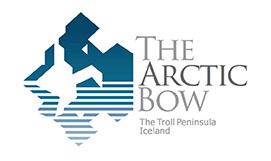 Troll Travel pre-scheduled tours start from Siglufjörður, the northernmost town of the island. The Folk Music centre brings to life the world of Icelandic folk music. Ólafsfjördur town has a 25 metre outdoor swimming pool, 2 hot tubs, a swimming pool slide, a wade pool with mushroom waterfalls, a sitz bath and a gym. Siglufjördur town has a 25 metre indoor swimming pool, a sauna and a hot tub (outdoor) as well as a gym. 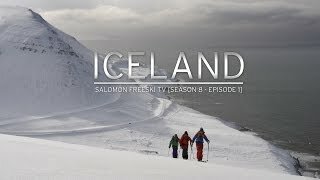 The ski slopes of Skarðsdalur are without a doubt among the best in Iceland. There are 4 lifts total length close to 2000 m where the highest point is 650m above see level. 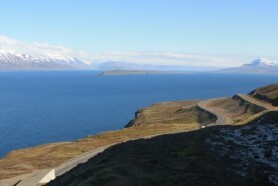 Ólafsfjörður offers ideal conditions for winter sports. The neighbouring mountains and valleys offer excellent terrain for snowmobile touring and the environment is particulary well-situated to skiing. Gallerí Ugla (Gallerí Owl) is a small gem in Ólafsfjörður, Fjallabyggð. Small and cosy 6 bedroom Guesthouse in the heart of town. Natur museum in Ólafsfjörður. Birds, eggs, polar bear, plants, fox, crab and lot's more. The public library is located in Siglufjordur at Granugata 24. The library in Siglufjordur also serves as a tourist information center. The public library is located at Olafsvegur 4. Höllin is a small and cozy restaurant and a bar in Ólafsfjörður. Höllin veitingahús er lítill,kósý veitingastaður og einnig bar.